Xtreme Sports is Bermuda’s newest entertainment business, focusing on providing “extreme sports” for birthday parties, summer day camps, abd various other groups, with the company’s vision being to provide something new and exciting for the Bermudian community. According to their website, “Xtreme Sports is Bermuda’s one stop destination for extreme sports! We’re committed to providing safe, extreme, and fun sports for all ages. 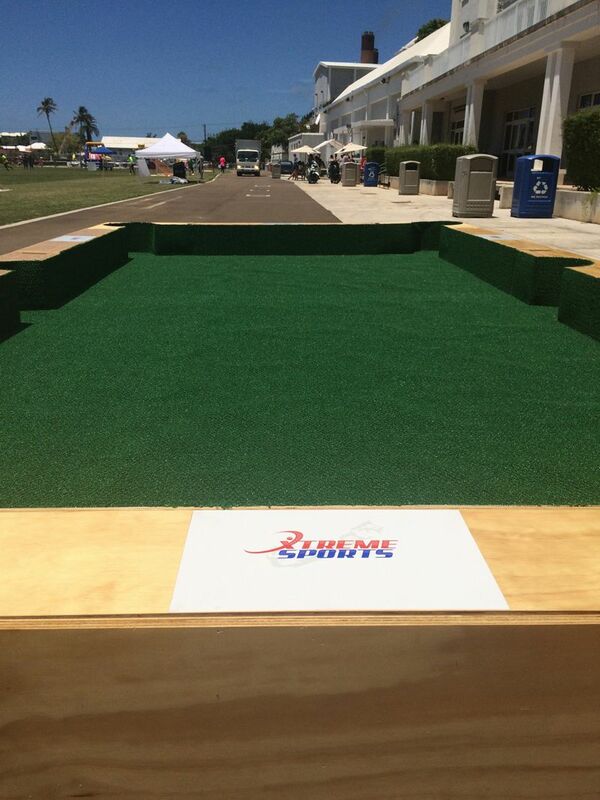 Here at Xtreme Sports, we like to think outside the box, adding a twist to your conventional sports. “Come join us today and have the time of your life, Xtreme Sports style!” With the launch of the new business, Xtreme Sports currently features two sports, Bubble Football and Poolball. “Bubble Football is the new, popular sport taking the globe by storm! It is very similar to traditional football, but the one major difference is that players on each team play inside large inflatable bubbles. The objective of the game is still to score more goals than your opponent. The company has been hard at work with their launch, designing their own portable Poolball table and filming a promotional video for Bubble Football. The promotional video was filmed and produced by local artist, Marq Rodriquez. 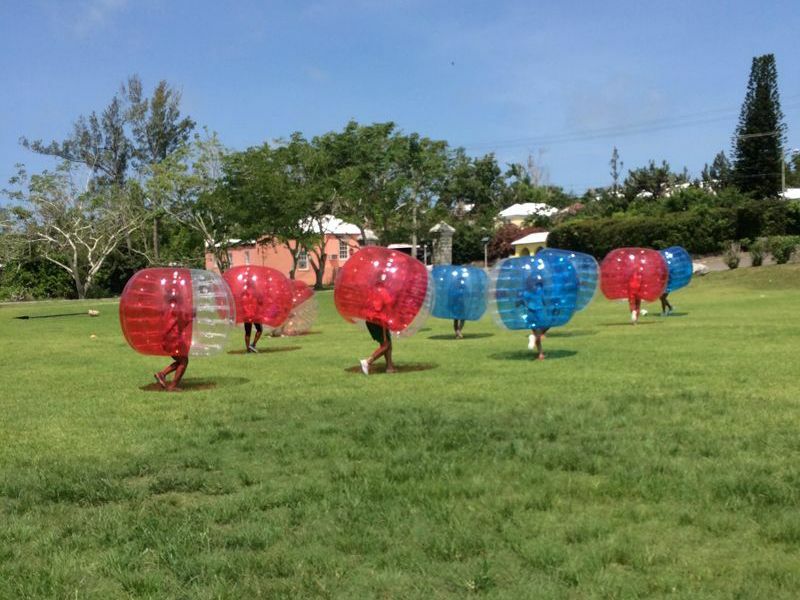 Xtreme Sports plans to continue to roll out new sports, with the hopes of becoming Bermuda’s leader in the entertainment business, focusing primarily on birthday parties and corporate services. If you’re interested in booking with Xtreme Sports, you can visit their website, www.xtremesportsbmd.com. You can also visit their social media pages Facebook, Instagram and Twitter. How is this considered ‘extreme’? What are the inherent dangers of being wrapped in a huge safety bubble? It looks like great fun! The best of luck to you. I am sure i will try it out soon. It must be hot in that plastic ? Xtreme sports in bermuda would undoubtedly be deemed illegal. So bermudians must remain dormant in their little safety bubble.